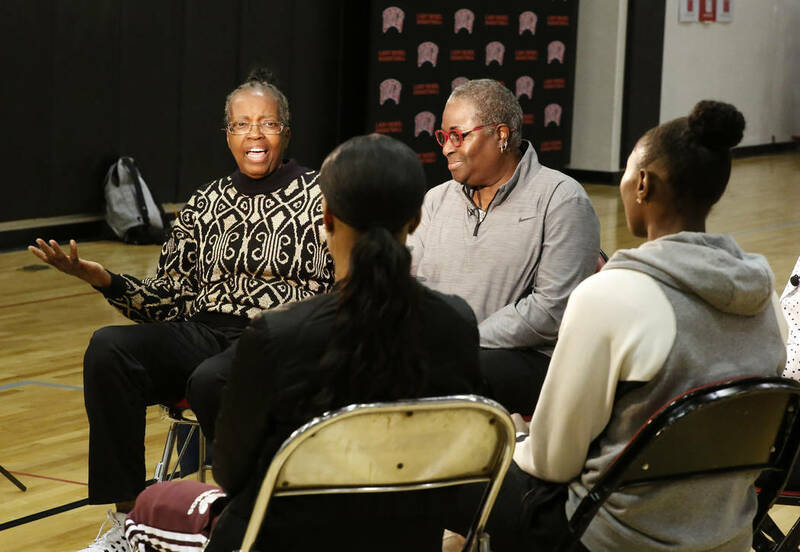 Cardte Hicks and Musiette McKinney, who both played in first American professional women’s basketball league, were reunited at Cox Pavilion on Monday, and joined by Moriah Jefferson and Sequoia Holmes of the Las Vegas Aces. Former professional basketball player Cardte Hicks couldn’t help herself. She broke down and cried . 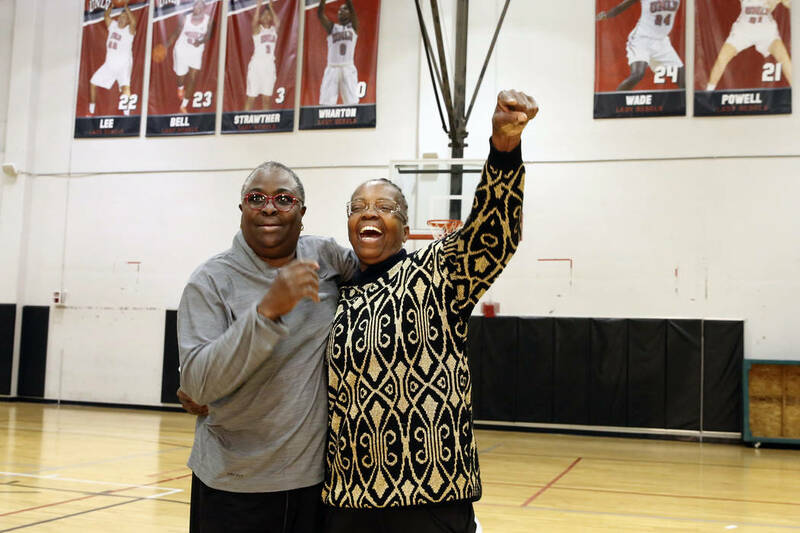 Hicks, a Las Vegas resident who played from 1979-81 for the San Francisco Pioneers in the Women’s Professional Basketball League — the first women’s pro basketball league — reunited with former teammate and longtime UNLV employee Musiette McKinney on Monday afternoon at Cox Pavilion. They were joined by Moriah Jefferson and Sequoia Holmes of the WNBA’s Las Vegas Aces. The former pros hadn’t seen each other in roughly 30 years and shared a whole lot of laughs, a handful of memories and a little bit of optimism for the future of their sport. Particularly the future of the Aces. Nowadays, WNBA games are played in state-of-the-art arenas in front of crowds and cameras. But Hicks and McKinney didn’t have those luxuries while playing in the WBL. The league was founded in 1978 and lasted three seasons, before disbanding in 1981 due to financial hardships. The players built relationships, talked trash on the court and hung out off of it as they traveled across the country. They played on teachers’ salaries. And they paved the way for WNBA players like Jefferson and Holmes. 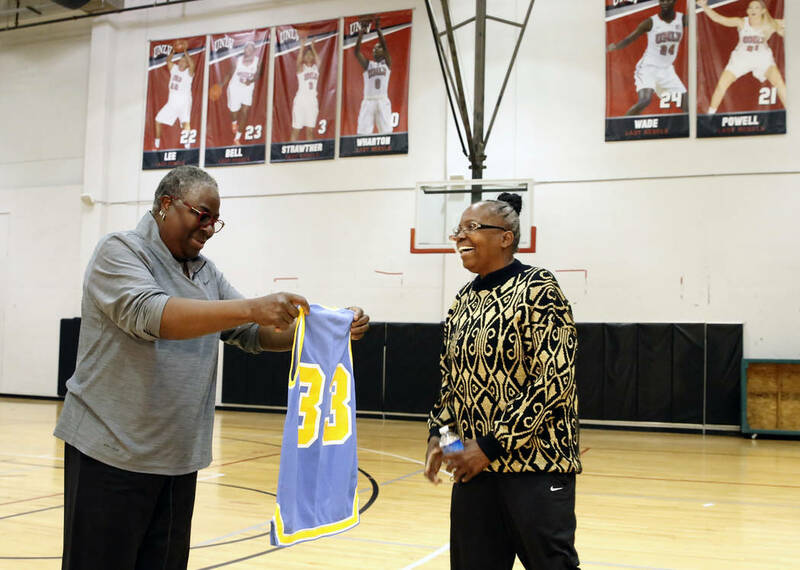 Hicks is recognized as the first woman to dunk in a professional game, achieving the feat while playing in Holland in 1978 before playing in the WBL. She also played for a men’s professional team in Holland in 1977, and thought nothing of it while reflecting on her career Monday afternoon . 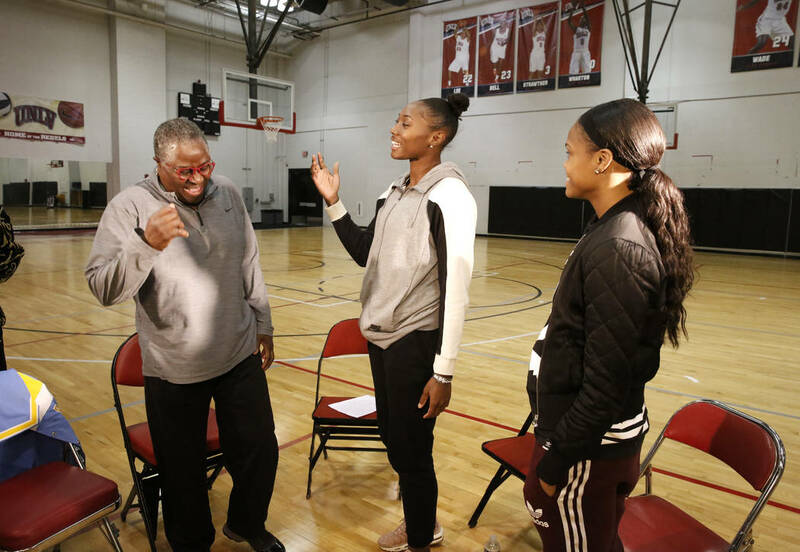 Jefferson was genuinely excited to interact with Hicks and McKinney, and grateful for their contributions to women’s basketball in the U.S.
Jefferson is already giving Hicks and McKinney something to look forward to this summer. The Aces begin the season in Seattle on May 20 and will play their first home game at Mandalay Bay Events Center on May 27. It’s safe to say they already have a couple of fans. “It’s a long time coming, but it’s big,” McKinney said.